Toronto’s Parks and Environmental Committee approved a plan late February to install five paddling nodes from Etobicoke to Scarborough. A continuation of a 2016 initiative that saw the creation of two recreational nodes on the Toronto Island at the Outer Harbour and at Silver Birch, five additional nodes are proposed that will allow residents with non-motorized boats such as paddleboards, kayaks and canoes to easily access the water. Read the full report here. 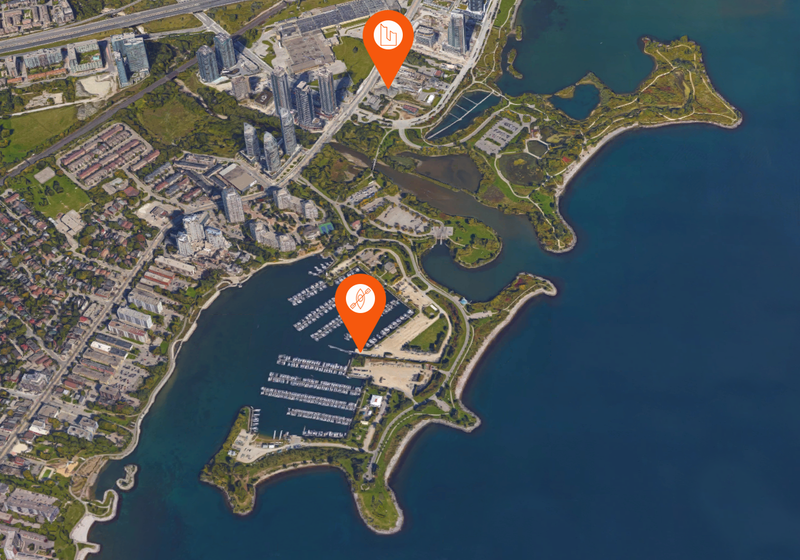 One of the nodes is scheduled to be installed in Humber Bay Shores, a short walk from our Eau Du Soleil community. This means water-loving residents will enjoy easier, safer and consistent access to the shoreline for water-related recreational activities. The plan still requires council approval at an upcoming meeting in March, but if approved, the $500,000 investment will begin installation this summer. These nodes offer a safe place for non-motorized boats to launch from, as most of the current access points to Lake Ontario are dominated by boating clubs, which can block access for other users and pose a safety risk to smaller boats. WHERE WILL THE NEW PADDLE NODES BE? The creation of these nodes and the understanding of the need for a more accessible shoreline is a wonderful stepping stone to open up the waterfront. The paddle nodes bring awareness to the potential for water-related recreation that most people don’t associate with Lake Ontario. We’re keeping our eye on the outcome of this proposal.